Okay, these are good. I have to say that I thought of this recipe on my own. 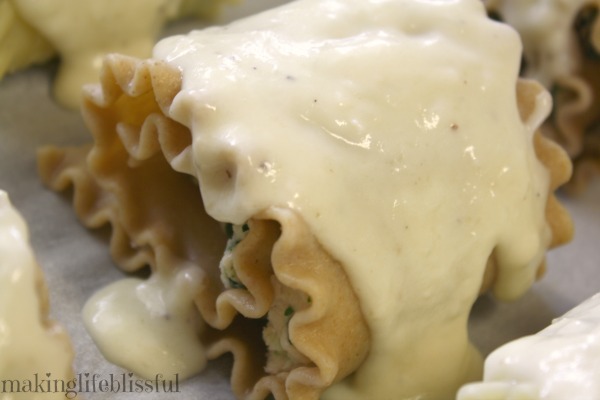 I wanted to make some lasagna roll-ups that I saw on Pinterest. But I had none of the ingredients, except cheese. 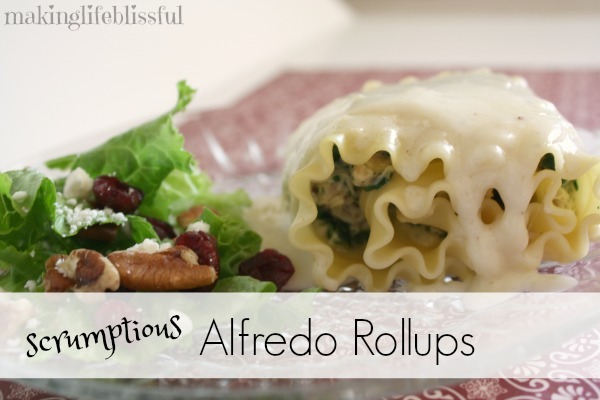 So I came up with Alfredo Roll-Ups. 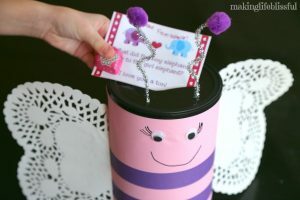 And there may be one similar to this out there., I don’t know. 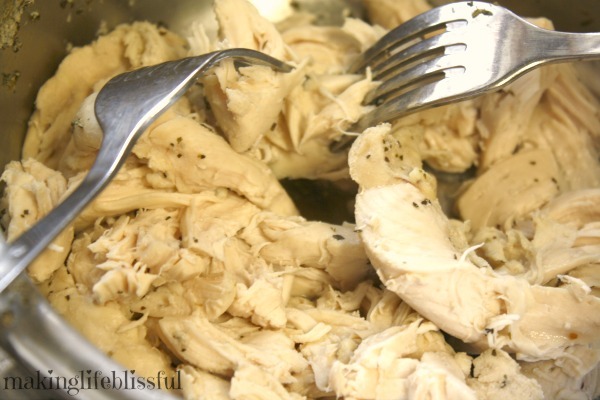 2 Cups of shredded chicken breast, seasoned as desired. 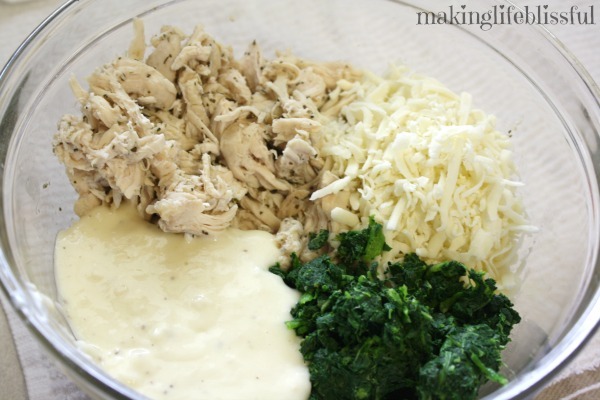 You could use a rotisserie chicken or chicken left over from another recipe. 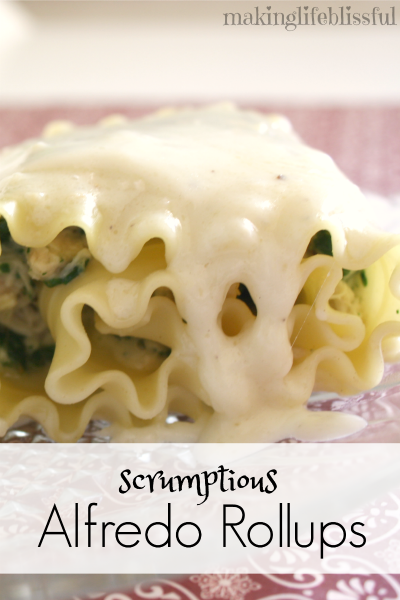 Mix chicken with chopped spinach (I used frozen spinach, thawed and drained), mozzarella cheese, and Alfredo sauce. 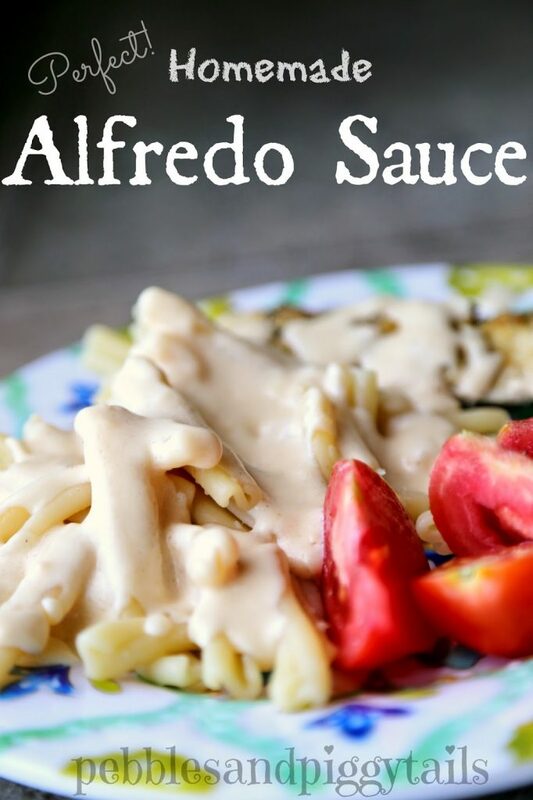 You can use any Alfredo sauce, but here is my Perfect Homemade ALFREDO SAUCE RECIPE! 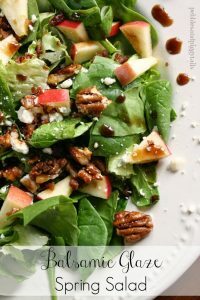 Mix together until you have a nice, sticky consistency. 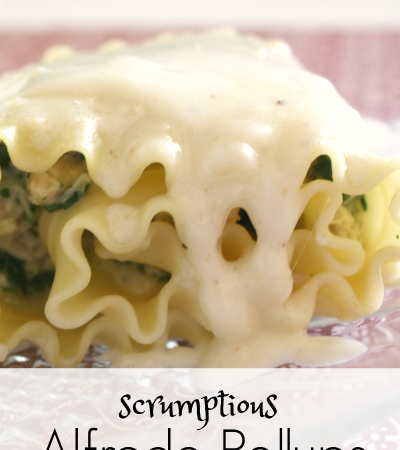 Cook lasagna noodles, al dente. Here I’m using whole wheat and regular noodles. 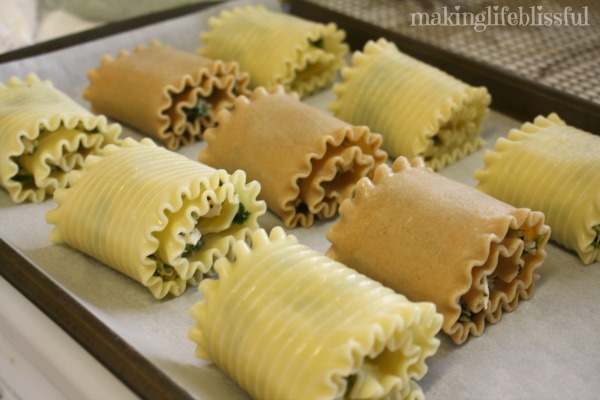 Fill each noodle up with chicken filling. Cover each roll-up with remaining Alfredo Sauce. Bake at 350 for about 20-25 mins, until it’s cooked through and warm. 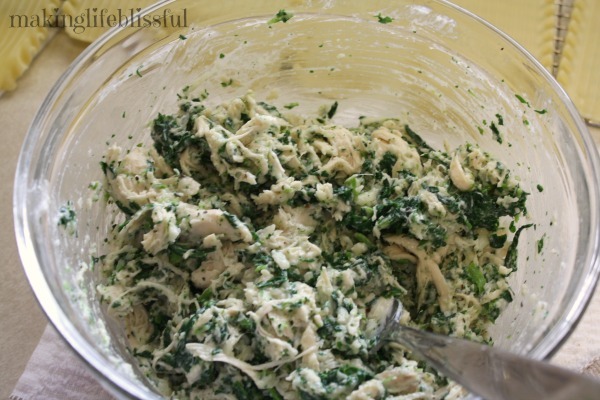 Mix chicken, spinach, cheese, and 1 cup of the Alfredo sauce until you have a sticky consistency. 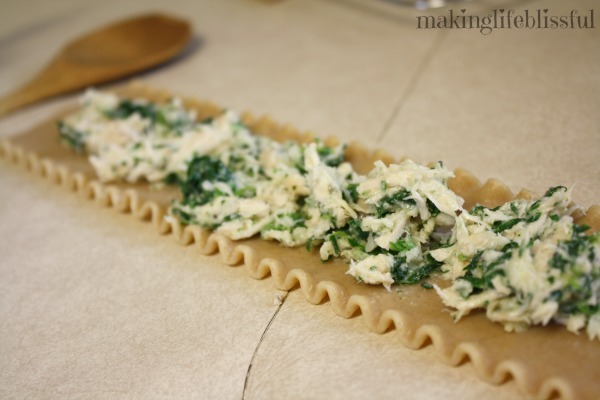 Spread each lasagna noodled with about 1/4 cup of chicken filling. 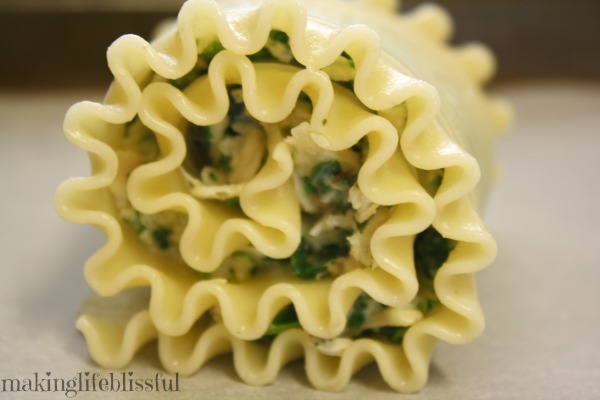 Roll up the noodle with filling inside. Place seam down on a (greased or parchment paper) baking sheet. Bake at 350 for 20-25 minutes until warmed through.